Holt didn't have children of his own, and his first opinions of children and learning came from being a schoolteacher in an elite private school, where he taught math to 5th graders. He was exposed to younger children and babies who were friends and relatives, and began forming different opinions about learning, which he shares in this book. Holt is fascinated by the notion that children accomplish so much before formal schooling begins and realizes that the way school is set up goes directly in opposition to what is natural and has worked for these children up to the point they are sent off to school. The beginning of the book covers the age ranges from birth up through age 3 to 5, that is, before children go to school. Holt talks about a certain type of important learning that takes place up until the time a child enrolls in school at which point the experience of schooling changes their personality. The book starts off with how children succeed in learning many important things and huge feats such as speaking and with proper grammar and pronunciation and walking without formal schooling and that children accomplish much learning without an adult being the facilitator of it. In general the style of writing is that Holt describes a situation and then gives his opinions of the learning experience. Sometimes Holt does little experiments such as introducing a toy or a non-toy (such as a typewriter) to young children to see how they react to it and what they do with it. Holt observes with delight and amazement, these young children who are friends and relatives (they are not his students or participants in a research projects). It is clear that Holt enjoys these young children and he respects them and relishes the time he spends with them. 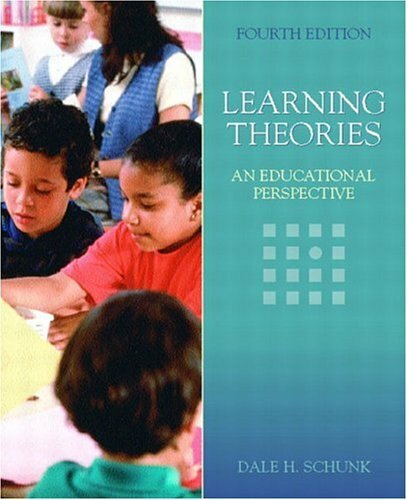 This revised edition makes clear which text is original then what was added-which is new perspective as he had spent more time around children and his theories matured and changed a bit. Seeing the two perspectives clearly was very interesting and educational. Regarding the discussions about babies and toddlers there are good observations here and I appreciate them. As a stay at home parent, I have already witnessed much of this (and more) and for some of the chapters I felt I wasn't learning anything I hadn't already witnessed with my own two eyes. However, readers who are childless will definitely learn much about how learning happens from infancy and up. I highly recommend that anyone interested in going into the profession of teaching read this book, or any current teacher who is childless. Holt gives the children much-deserved respect for their innate ability to learn and figure out the world around them. Later chapters get more analytical as Holt integrates his own observation of schooled children (about grade 5 and below) and compares and contrasts with other educators, scientists and child psychologists. (It doesn't seem to me that Holt is analyzing preteens or teenagers.) Here is where Holt exercises his ability to write clearly and concisely drive home his point in a convincing manner. Again and again Holt shows how a child to is forced to "learn" things (such as in public and most private schools) is actually having their personality changed in the process. The act of being forced to do things and to prove oneself over and over via testing and not being trusted by adults changes their personality. Holt feels the schooling procedures have negative consequences on all children; albeit some children are more negatively affected than others. The child can develop anxiety, mistrust, and fear of all adults not to mention self-esteem problems or just killing their curiosity or interest in learning. 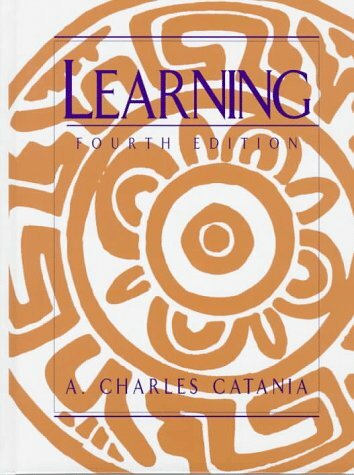 Great quotes from other books on education and learning are included here with Holt's reactions. A short list of books on school reform is included. The summary alone is almost worth the price of the book. For more specific information about what goes on in school and how children learn to play the school game and how forced teaching is not always effective, read Holt's "How Children Fail". This would make a great gift for expectant parents, I feel it would point out to them that babies deserve a lot of respect for being able to figure out the world around them. This notion of being in awe of and respectful of children starting at birth is seldom written about...so many of us were under the misguided notion that an adult must be the one to force learning onto babies and children (me included until I birthed my babies and saw firsthand how smart they are). 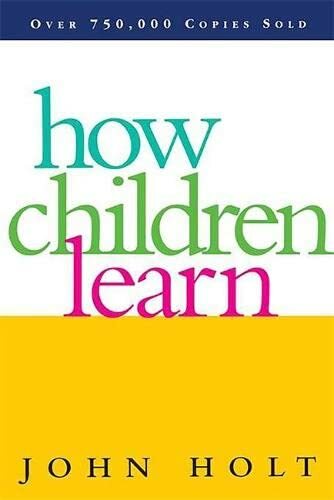 I discovered "How Children Learn" when my own children were already on their way to their teens. I wish I'd had it when they were born, or soon after. John Holt opens our eyes to the absolutely astonishing efficiency with which pre-school children learn so many things. And he does it without any of the language of "educationese," the gobbledygook that so often clutters books about educational issues and makes them opaque and unpleasant tasks to read. Everything he says is immediate, concrete, and down to earth, drawn from specific observations of particular children, working effectively to learn whatever interests them. This is a book that I regularly now give as a gift to my friends when they become parents for the first time. I know of no other that will fill THEM with wonder over the ensuing five years or so, as their children learn to come to grips with the world. There must be a thousand books out in the world for parents right now. How to do this or that with your baby/toddler/child, OR How to get your baby/toddler/child to do this or that. From pregnancy through college there is a guide for every problem, or perceived problem, that you may possibly have. How Children Learn, though, is not a guide. It is simply a demonstration, through the journal of John Holt, that children are smart and know how to learn, from the moment they are born. He shows that by giving children the space and freedom they need to explore things that interest them, we allow them to develop thinking skills. We allow them to figure the world out, learn that things work in certain ways, and that the world is generally a predictable and benevolent place. Holt shows through his experiences that not only do we not need to force children to learn, or to teach them much, but that teaching (and especially coersion) are counterproductive to learning. It would be impossible to explain in a short space the thinking behind How Children Learn. By sharing his experiences, Holt shows us about children, not educational philosophies or theories. Get this book and read it. It will change the way that you think about children and learning forever. This book is so true. If you're looking for guidance on how to begin to teach your children this is the place to start. This will put you on the right track!!!! This unique guide provides a systematic overview of the idea of architectural space. 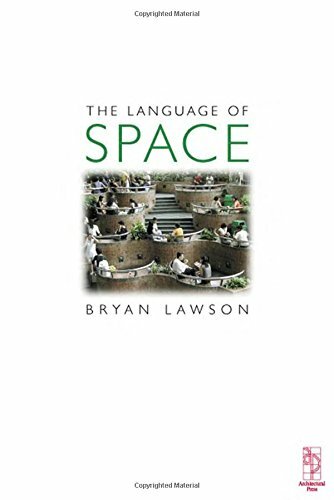 Bryan Lawson provides an ideal introduction to the topic, breaking down the complex and abstract terms used by many design theoreticians when writing about architectural space. Instead, our everyday knowledge is reintroduced to the language of design. Design values of 'space' are challenged and informed to stimulate a new theoretical and practical approach to design. This book views architectural and urban spaces as psychological, social and partly cultural phenomena. They accommodate, separate, structure, facilitate, heighten and even celebrate human spatial behaviour. When faced with an important decision, we are often on our own to think through what we might do and what the probable consequences of out behaviors are. As we make these judgments, it is important that we be able to communicate precisely and fluently with one another. 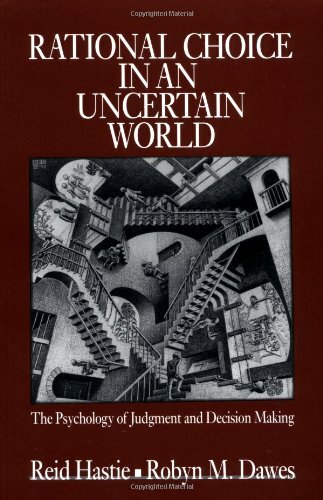 In Rational Choice in an Uncertain World, renowned authors Hastie and Dawes compare the basic principles of rationality with actual behavior in making decisions. They describe theories and research finding from the field of judgment and decision making in a non-technical manner, using anecdotes as a teaching device. 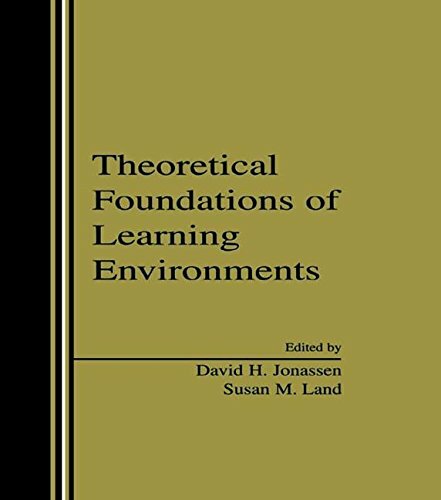 Intended as an introductory textbook for advanced undergraduate and graduate students, the material not only is of scholarly interest but is practical as well. I read this book as part of a college course on cognition. It was defintely the most interesting of the 3 books we read in this class. The book effectively teaches you how to go about making well-thought-out decisions. The text in itself is easy to read and comprehend. There are also many apt examples, both abstract and from everyday life. This combination ensures a successful reading of this book. While I would have probably never read this book if not for the class I took, I'm glad I did and would recommend this people from all walks of life. Being able to make a good, well-thought-out, rational decision is the best skill one can have. The authors emphasize that decision-making is a skill that can be learned and improved. As I work with career changers, I have become convinced that most of us have not learned this skill, and most of us could benefit from a careful reading of this book. Hastie and Dawes present results of scientific psychological research, using language that is easy for the ordinary person to understand. Their examples come from everyday life and news stories: Chernobyl, the "hot hand" theory of basketball, mammography. 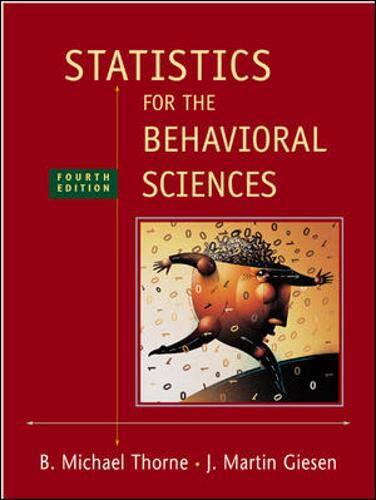 I would also recommend this book to any students of psychology, including those entering graduate school in social psychology, marketing or management. Hastie and Dawes demonstrate that academic studies needn't be dry, but in fact yield fascinating conclusions that are widely relevant. At the same time, they show the way researchers think and introduce the notion of probability in a way that makes readers want to learn more. The addition of Reid Hastie as an author to Robyn Dawes' classic text on judgment and decision making was superb choice. This edition appears to be written very much in Hastie's voice, from the perspective of a cognitive psychologist. Moreover, we find additional attention paid to algebraic models, which was something that was missing from previous editions. Hastie and Dawes ranks as one of the essential readings for the judgment and decision-making field. I don't know what I was expecting, but I really enjoyed this book. I was listening to the book on tape and tried to take notes while driving (bad idea). 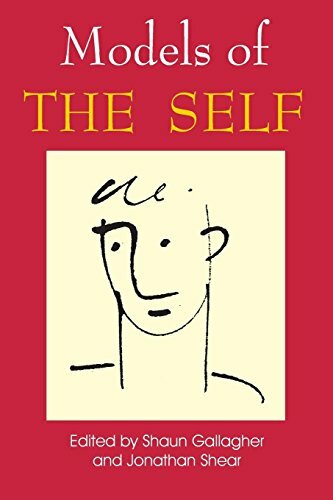 I thought comments such as "Self Esteem is your reputation with yourself," "A productive life is a psychological neeed," and his example of 3 men and their opinions, all valid of the same "cad" were, well, helpful to me. I recommend it to anyone who, regardless of their own self esteem issues, knows anyone dealing with anxiety or constant doubts. As I say, I enjoyed it. If you love Branden's books, this one will not disappoint you. I recommend this book to anyone who wants to understand themselves better and live life to the fullest. This book is at it's heart, a practical look at human psychology, a field in which ideas that work are often undervalued. The chapters on emotions, pathological anxiety, and social metaphysics were fascinating and somewhat opinionated while providing some amazing insights into the human condition. Like all of Branden's books, it is clearly written and the author anticipates beautifully the readers questions and addresses concepts in a very understandable manner. Anytime I read a book that really teaches me something valuable, I feel compelled to recommend it. Part I consists of the philosophical concepts relevant to psychology. The central ideas, presented in their essentials, lay the foundation of Branden's approach, illustrated in Part II and all of his future work. Part II deals with the central theme of Branden's life work: self-esteem. His radical approach is in stark contrast the ideas of the time and to the self-proclaimed self-esteem proponents in recent years. His approach is reality oriented: Branden outlines the inescapable need for self-esteem, its source in reality and the consequence of the failure to live in accord with this need. 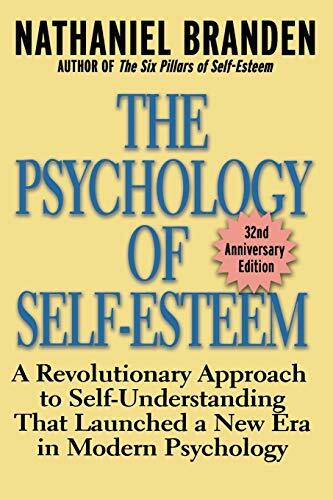 The contrast between legitimate self-esteem and counterfeit self-esteem help to clarify and define this crucial concept. Dr. Carl Sagan takes us on a great reading adventure, offering his vivid and startling insight into the brain of man and beast, the origin of human intelligence, the function of our most haunting legends--and their amazing links to recent discoveries. "A history of the human brain from the big bang, fifteen billion years ago, to the day before yesterday...It's a delight." I've always considered Sagan my favorite story teller. He tells both wonderful fictional tales (like Contact), and tales that while certainly grand enough to be fiction, are actually tales of nature and science. The Dragons of Eden is one such book. So large in its scope that one might think it would be disconnected and hard to follow, it in fact is the perfect balance of big picture and fascinating detail. If you're even mildly interested in evolution, biology, zoology, neuroscience, or the nature of what really makes us who we are, this book is a must read. Turn your Thinking about Thinking Upsidedown. I had certainly heard of Carl Sagan, but only in terms of cosmology. I had no idea that he wrote extensively on the field of evolutionary biology-stimulated by his wife, the biologist Ann Druyan. My field is not science, so The Dragon's of Eden was my first encounter with the idea of the tripartite brain. The idea does not originate with Sagan, as he himself points out, but this slender volume makes the idea quite assessable for the lay person and, more importantly, it creatively explores the idea's possible implications. 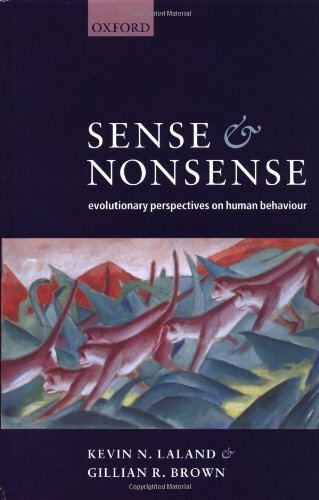 Although I read this book years ago, I have thought of it several times a week since then, as I speculate upon some of the biological causes of human behavior. Newer models of the brain have already proved some of the basic ideas in this book as a bit oversimplified, but if you are looking for an introduction to speculating about how the brain's evolution may shape human behaviors, this is great place to start. I found the book a "mind blower"-and I always pick it up used when I see it to give to friends. Prepare to have your perception of perception itself turned upside down. Oh my gosh. everyone should TOTALLY read this book. it will give you informative info on all your life questions. i read this book in less than 24 hours and SO CAN YOU! wanna know about dinosaurs and cool aliens? well then DEFINITELY read this book. instead of going to the beach, i stayed in and read this truly intriguing book. oh wow. im such a good student! YOU can be just like me if you read this Carl Sagan dragon junk book. At first you might be discouraged because its REALLY BORING, but if you're into all that space stuff then you'll really like it. my friend OLGA recommended it to me and we just love sharing our thoughts over a nice hot cup of coffee, while checking out the other book worms. anyways be RAD like me and read some carl sagan today! Carl Sagan is one of the select few prolific non-fiction writers who can manage to create a masterpiece each time. 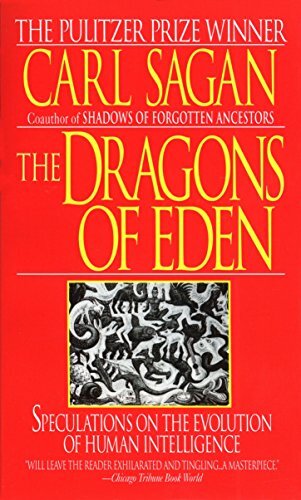 While much of _Dragons of Eden_ is dated, the book was way ahead of its time and probably remains on the cutting edge of theory in the evolution of human intellegence (at least in the popular realm). Those areas in which the book is clearly a generation old (Sagan predicts that someday computers will have television like interfaces, that regular people may have access to them and that they someday may exist in peoples' homes), are endearing, yet they also exemplify Sagan's foresight and wisdom. Predictions like these, and others (such as the then-absurd notion that genetic engineering may someday become science fact), are what sets him apart. As a scientist, he is a skeptic in the purest sense, but that doesn't mean he lost his imagination and ambition. He was not a cynic. I recommend this book to just about anyone who is a Sagan fan. However, it isn't his best work. I would certainly place either _The Demon Haunted World_ and _Billions and Billions_ above this. "The soul never thinks without an image," claimed Aristotle. Indeed, as Angeles Arrien displays in this reissued edition of Signs of Life, shapes have significant psychological and mythological meanings embedded in our minds. Understanding the messages they convey and our attraction to them opens up a door to the secret workings of our inner selves and to a fuller appreciation of the art itself.As in her widely popular The Tarot Handbook, Arrien applies her background as a cultural anthropologist to the import human beings attribute to shapes. Examining her results, she has developed an effective tool to determine the connection between a person's preferences for certain shapes and the same person's inner, subjective states. In the course of using Arrien's book, individuals, parents, teachers, and therapists will experience the universal processes of growth embodied in images and myths. Life, we discover, is art, and through Arrien's fascinating journey in Signs of Life, we gain a new perception of the omnipresent patterns and symbols that surround us. 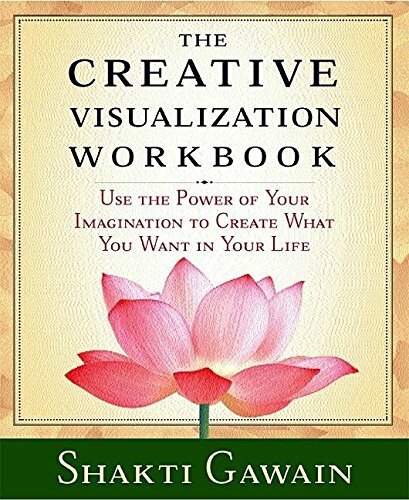 I recommend this book to artists who are interested in finding out ways to express their personal vision. Expanding on Arien's initial exercise of arranging the five shapes, one can develop images that come from the center of one's life rather than from outside influences. It goes without saying that a person feels better when he/she understands why he/she feel more comfortable (or uneasy)with certain aspects of their lives. This simple book can help a person to know and understand where they are in life and how they might have gotten there. I go back to it every few months and use it in teaching art classes and in art retreats. Angeles Arrien is a gifted teacher. Once again Angeles inspires and soothes my soul with her beautiful and powerful writing. This book is a treasure and I highly recommend it to anyone who is interested in the language of the Universe. I would recommend this book to anyone who is in process of self examination. The simplicity of the use belies the depth of the information that can be extracted from Ms Arrein's analysis. Her use of "universal" symbols clears away much of the overburden of intellectual understanding and cultural training that colors our perceptions of the world. The work in this book cuts through to base emotions and drives. This book will improve your understanding of your motivations in all aspects of your life. This was one of the books that picked me instead of me picking it. I feel like it was my fate to posess this book. It helps me view my soul as if I was looking through spiritual glasses. And of course being creatures of change, what we see is different from time, even within ourselves. This book remarkably brings to the reader knowledge or information that is not commonly found in this society. Very reflective and definately a great tool when on path to personal enlightment. Excellent starting point for making art from the inside. The final chapter of E O Wilson's Sociobiology was a bombshell whose shockwaves reverberate today. Kevin Laland and Gillian Brown set out to sift through the morass of evolutionary approaches to human nature that is has spawned. This is a useful review of the various schools of research, although I would have liked a firmer conclusion than 'a pluralistic approach is best'. Sometimes the authors could be a little less polite and have a little more bite. Good stuff overall though, probably most helpful for those new to the area, or for students looking for an introduction. The book is a little light in content, concentrating on methodology, but the emphasis on cultural processes, absent from many evolutionary discussions, is most refreshing. Do Laland and Brown successfully separate the sense from the nonsense? No. But they do equip the reader with some of the tools to do it for herself. Most of us incorporate some kind of physical exercise into our daily lives. We do this to improve our bodies and health and generally make us feel better. Why not do the same for the brain?The more we exercise it, the better it performs and the better we feel. Think of Restak as a personal trainer for your brain—he will help you assess your mental strengths and weaknesses, and his entertaining book will set you to thinking about the world and the people around you in a new light, providing you with improved and varied skills and capabilities. 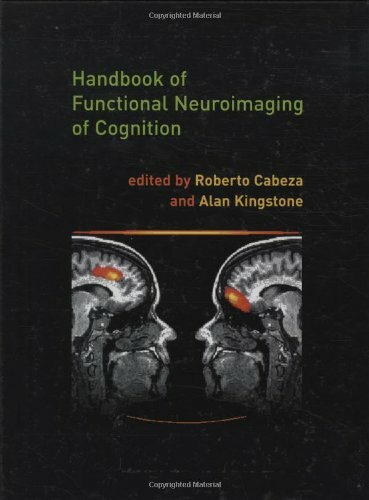 From interacting with colleagues to recognizing your own psychological makeup, from understanding the way you see something to why you’re looking at it in the first place, from explaining the cause of panic attacks to warding off performance anxiety, this book will tell you the whys and hows of the brain’s workings. Not for Beginners or Neurosurgeons, Good Intermediate Read. Among the books about improving your thinking, this book takes you one step further. This is not just an explanation of thinking skills but an overview of the interactions among the various parts of the brain. It includes suggestions for general brain health as well as activities that involve multiple areas of the brain, which in turn form new neuro connections.The second half of the title "Unleashing Your Brain's Potential" is more appropriate for the content of this book. N. Illing, author of SPARKS Ignite Imagination, an informational activity book for stretching the imagination. This book offers an interesting explanation as to why we might feel that way: one functional part of our brain is tired and another part could use some exercise. The author elaborates on the idea: engaging in a variety of physical and mental activities is healthy for our brains and, therefore, healthy for us, overall. Easy to read and filled with interesting ideas. was the intended suggestion for that chapter?" reader really applying our newly-stretched brainpower? ranking is 4 stars rather than 3. I found this book difficult to absorb because I had the audio version. An audio book is a disadvantage to a reader trying to participate in the brain exercises while on the daily commute. The book format would have allowed a sedentary reader to take advantage of the information provided. I was not able to flip back and forth easily or mark pages to return to. 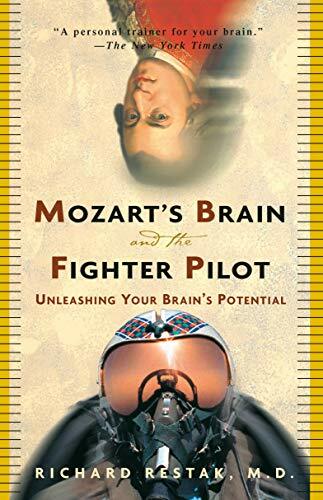 I thought the book (tape) would be more about brain architecture and how Mozart's brain actually would differ from a fighter pilot's brain. There is a little speculation about how the brains of the MTV generation cope with image overload versus the previous generation's method of acquiring information. The title is a little misleading. It really is a book about brain exercises, because the author believes these exercises help keep the brain young and healthy. It is the old theory of "use it or lose it" adapted to the brain. I do not know if I totally subscribe to this theory, avid readers seem to be the first to wear glasses, hockey and football players retire with injured knees. The book on the whole is interesting. Definitely worth it. It presents some unique ideas and it's a noble goal to keep your brain active even if the exercises were to have no effect. In his 15th book, renowned brain expert Richard Restak offers up twenty-eight tips on how to improve the function of our brains and possibly help stave off senility, Alzheimer's, and other mental impairments. At the heart of his message is the fact that, unlike our body's other organs, the brain doesn't age, but will suffer atrophy with disuse. Luckily, with constant stimulation of the proper kind, the brain can stay sharp and actually improve to the end of our years. The list of beneficial brain activities includes listening to or--better yet--learning music (this is where Mozart comes in), playing challenging games, reading advanced books, meditating, solving puzzles, playing certain sports, and even watching thought-provoking television programs. Restak also offers a number of brain "exercises." These are essentially new ways to think of stuff. While some of these seem a bit boring and time consuming, with results that aren't quite clear, there is something for everyone in the book. Great book, great techniques. Imagine yourself buying this book and do it! I thought I was happy but after reading this book I guess I was mistaken. I never imagined a better life. Such as more money, bigger TV, DVD player, bigger house, nicer clothes, etc. You get the idea, the important things in life. Well not any more, not after reading this book and doing the exercises. Now my imagination knows no bounds. Why it's like an imagination with...um...er...it's like an imagination with out any bounds. Now I see my self at work and instead of my same old outlook I now look at things differently. It's like um...er...well kind of like looking at things with more imagination and stuff. It's GREAT, no really, I really mean it. Everything is just GREAT. REALLY I keep telling myself things are great so they must be. If you ever wondered about life, If you ever wanted help but did not know where to begin, then begin with this book. It will open opportunities and heal wounds you never knew you had. A truly enlightening book that gave me a feeling of being. My intuition is growing stronger with each day and i love and appreciate everything and everyone life has to offer. Learning the art of using your imagination to get what you want in life has shown me that what I desire and want out of life is not going to happen one day but an actual fact already manifested in my wonderful life! This book gave me a step-by-step process to make positive changes in my life. I worked the lessons and followed Shakti's methods for visualizing my future. Years later I found the workbook and reread my own words. I was surprised to see how accurately I had depicted my future! I used this in conjunction with Louise Haye's You Can Heal Your Life. Both helped me to understand how I could take control of my life and direct my future. Shakti's book is a great how-to for those that have never done much meditation or visualization. 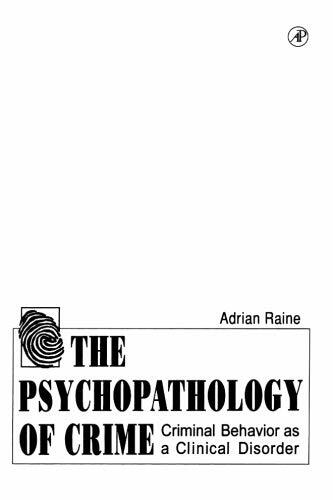 This book serves two purposes.It is an excellent literature review of research into the biological, neurochemical, genetic, and behavioral roots of violence andcriminality.It also advances a provocative hypothesis --that criminality itself may meet the definition of apsychopathology. 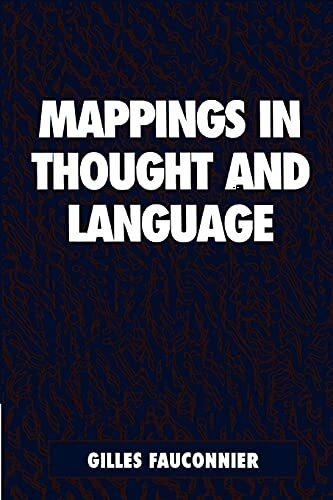 Even if you regard the latter as completely bunk (whichI don't), the book is invaluable as a literature review.Not only is itexhaustive, but Raine also comments on the literature with a keen logicalmind, i.e. "Hungadunga and McCormick found effect X and attributed itto factor Y, but an alternative explanation is provided by factorZ." I am a science writer, and my main field of expertise is themedical aspects substance abuse treatment.I learned plenty of new stuffabout the connections between alcoholism and criminal behavior in this bookand will consult it repeatedly the next time my partner and I sit down towrite/revise. Quibbles?Well, to some degree, the literature reviewworks at cross-purposes with his central hypothesis, since most of theresarch he reviews was not undertaken with such a hypothesis in mind anddoesn't necessarily apply to it.Also, you do have to pay close attentionre: whether Raine is, at any given point, talking about criminality ingeneral, violent criminality in particular, or ASP (antisocial personality)specifically.Structurally, it might have made more sense to write twobooks: a critical review of the literature, and a second one advancing thethesis that criminality is a psychopathogy.I've faced similar dilemmas inmy own writing, and I probably would have made the same decision Raine did-- cram it all in one book! Dr. Jaques is re-writing our understanding of the human mind and how to use it best. Forget IQ, Meyers-Briggs, and the other flim-flam out there. This book offers us the hope that we can work to our potential without overload, balance our task output and spiritual needs at work, and organize our companies as effectively as possible, without sacrificing our humanity. So far every criticism I've seen leveled at Jaques has proven baseless. High level writing may put off some, but this is great research work. Ideal for those concerned with developing human capital. This book presents the results of a three year study by Jaques and Cason, providing a major breakthrough in understanding human capability, intelligence, and development. An outcome of this study is further development of managerial practices to match people with roles and develop training and development programs. This is a highly interesting and informative volume that will be of significant value to all HR professionals whose agenda includes HRD and the cultivation of an organization's human capital. Reviewed by Gerry Stern, founder, Stern & Associates and HRconsultant.com InfoCenter. A Must For Managers and Educators.